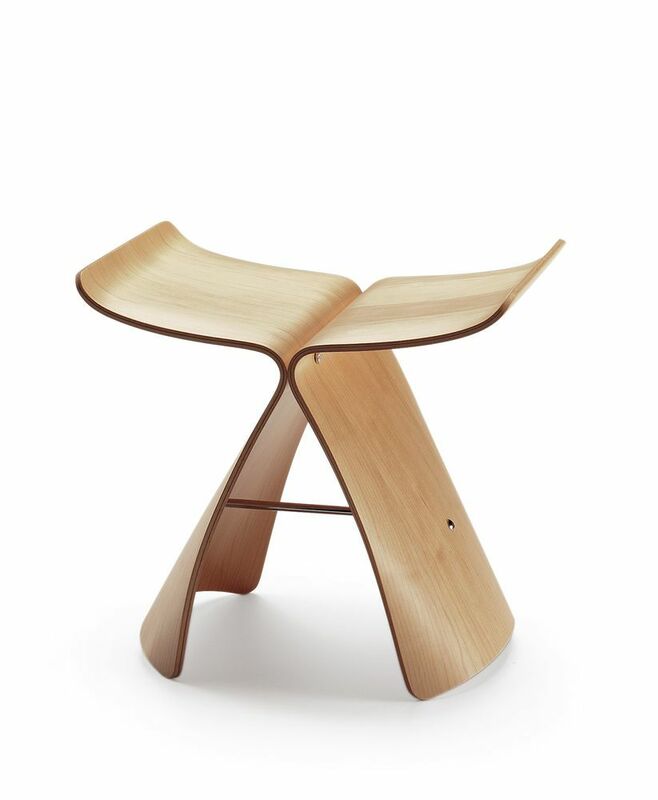 The iconic Butterfly Stool by the Japanese designer Sori Yanagi is a classic piece of furniture that uniquely combines Eastern forms with the plywood moulding technique developed by Charles and Ray Eames. The gently curving silhouette of the twin seat shells is reminiscent of a butterfly's wings – eternally poised for flight. The stool is made of maple or palisander wood.